HOULTON, Maine —The community of Houlton is without its municipal leader after Town Manager William D. MacDonald resigned Tuesday evening. Councilors announced the news after a brief executive session with Town Attorney Dan Nelson. MacDonald will be given three months salary as severance, according to Chairman William McCluskey. MacDonald was not present during the meeting and could not be reached for comment Tuesday evening. Town Clerk Cathy O’Leary was once again appointed by the council to serve as interim town manager, a post she has held numerous times in the past. “We thank Mr. MacDonald for his service,” McCluskey said before adjourning the meeting. Reached after the meeting, Councilor Raymond Jay said that he could not elaborate on the reason for the resignation and no further information was immediately available. MacDonald was unanimously approved as Houlton’s town manager during a special council meeting on Nov. 6, 2017. He replaced Butch Asselin, who left the post after three years to pursue a similar job in Oxford. Asselin also served as Houlton’s police chief for seven years (2007-2014). 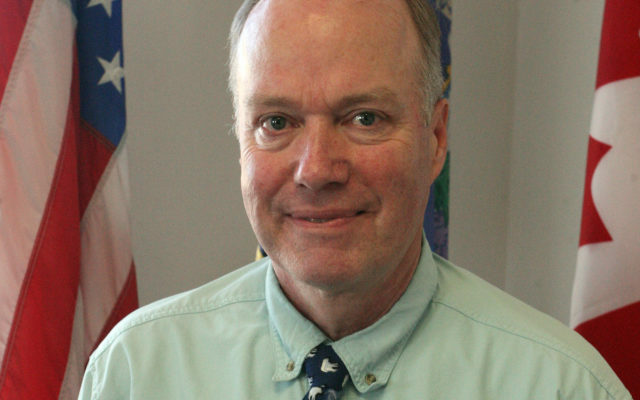 Prior to his position in Houlton, MacDonald had been employed with the Maine State Employees Association, SEIU Local 1989, since 2011 serving as a political and legislative coordinator. In that position, he was an advocate on behalf of public employees and retirees on budget and labor issues. He also coordinated and mobilized member leadership and advocacy for political and legislative campaigns; planned legislative agendas and political campaigns; and also directly lobbied lawmakers at the State House. MacDonald also served as a park ranger at Baxter State Park from 2008-12 and was a member of the Winthrop Town Council from 2003-09.